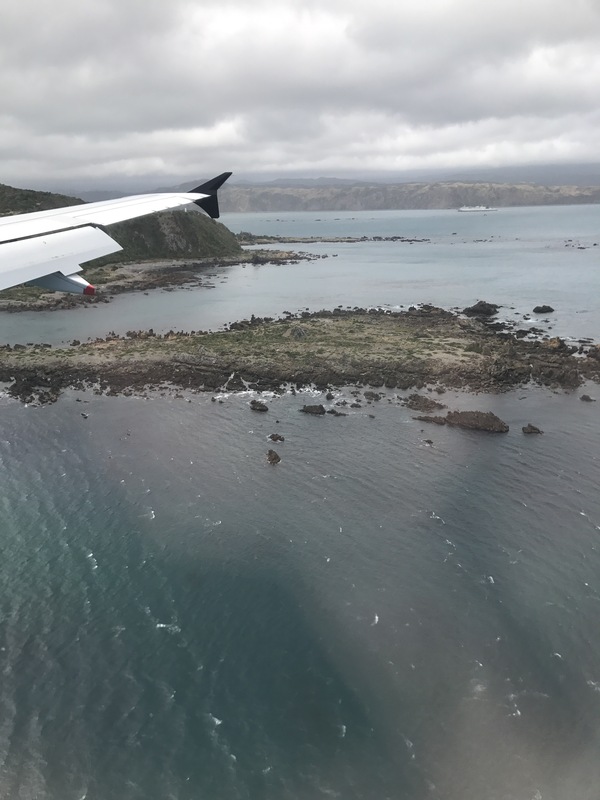 So, those of you that follow me on Facebook are no doubt aware that I have safely arrived in Wellington, and the trip was pretty easy, all things considered. I tolerated the super long flight much better than I expected, and honestly it was ok. 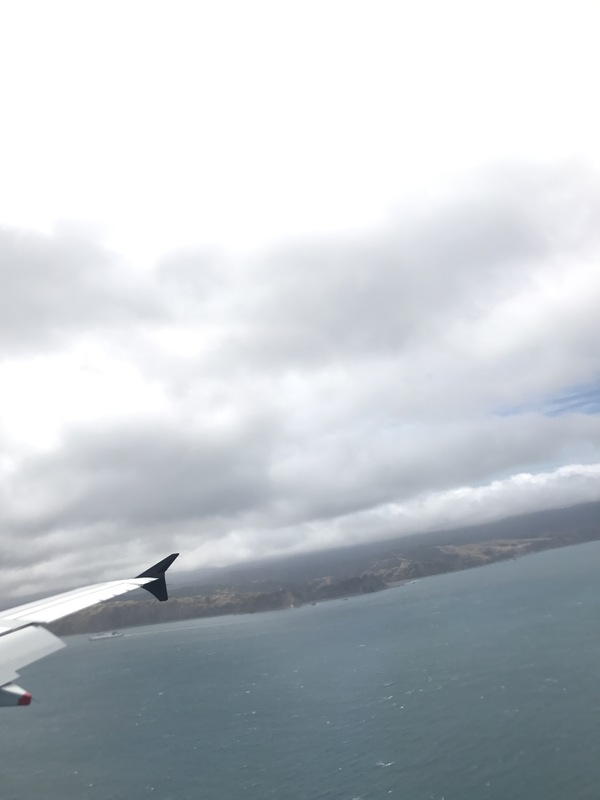 I did have a missed connection on the last leg of my flight, due to a luggage issue (more on that later), but it only put me about an hour behind schedule and all was well. From Atlanta, I had a pretty awesome view of the sun setting behind the tower as I was waiting to board the flight to LAX. Then I was SO lucky! 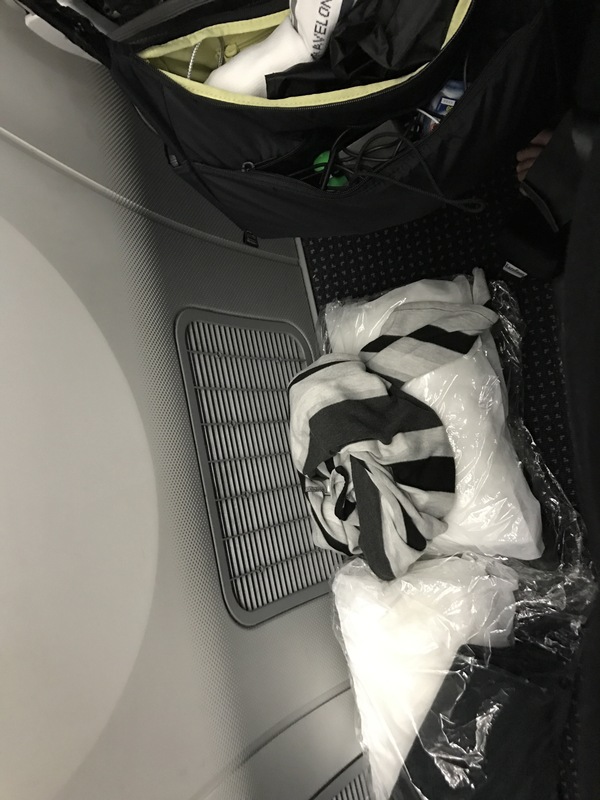 My flight to LAX (with a window seat) had an empty middle seat – started off right! 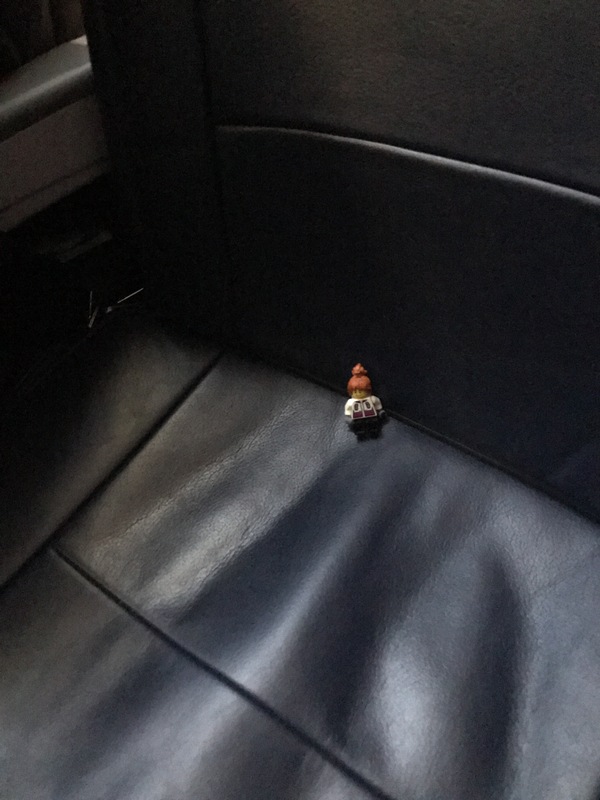 (MinifigMerry really enjoyed that space!). 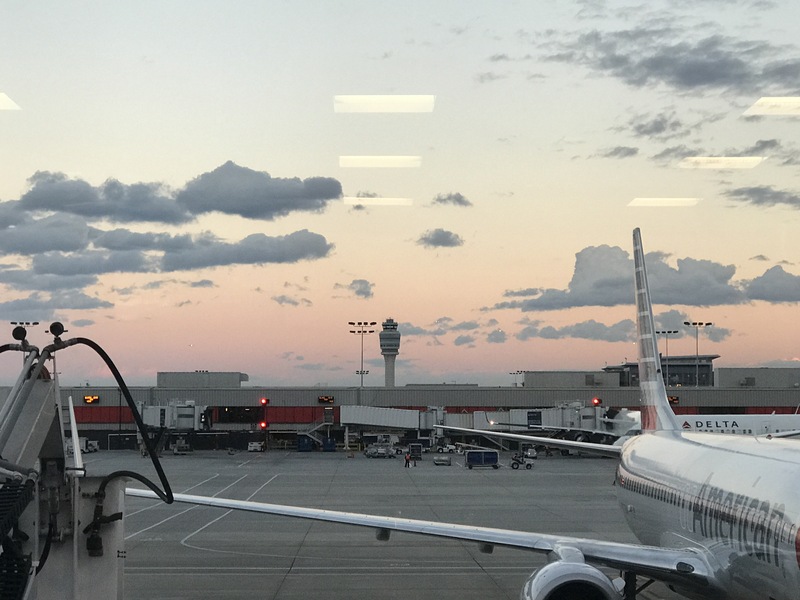 ATL – LAX was fairly uneventful, and I napped quite well – honestly – I think the collective exhaustion of the last few weeks packing, getting ready to go and saying goodbye to all of my awesome people finally caught up with me. 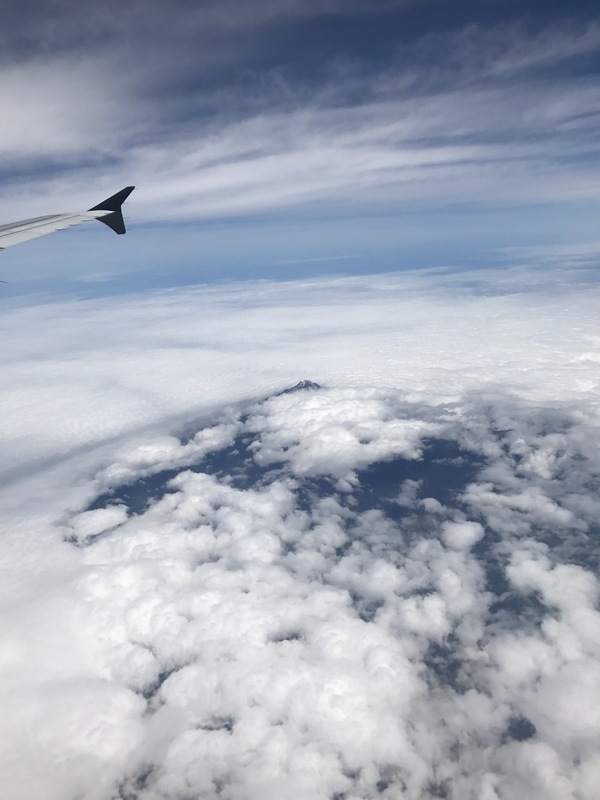 We arrived in LAX, and I had just enough time to freshen up a bit, grab a snack and some water and reorganize my bag so that I could do some work on the plane (HAHA!). 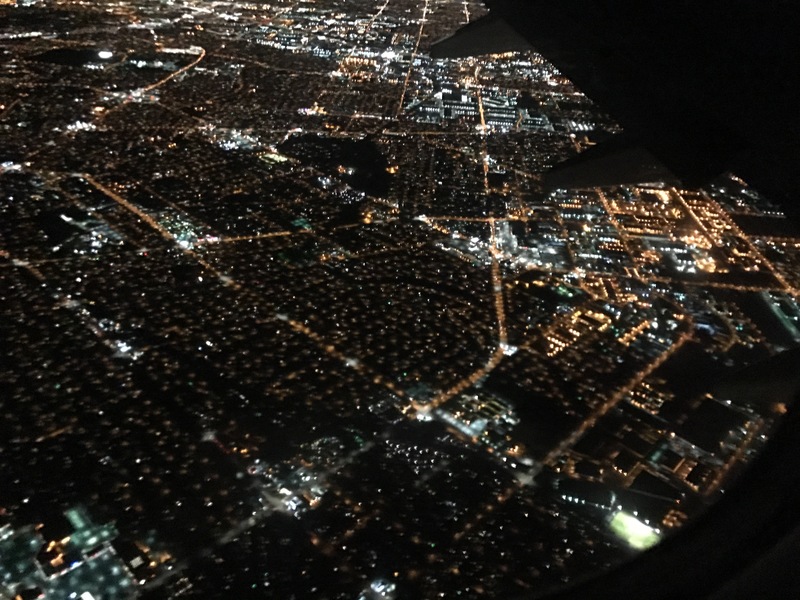 LAX – AUK was a much easier flight than I anticipated – I think because my expectations were SO very low. 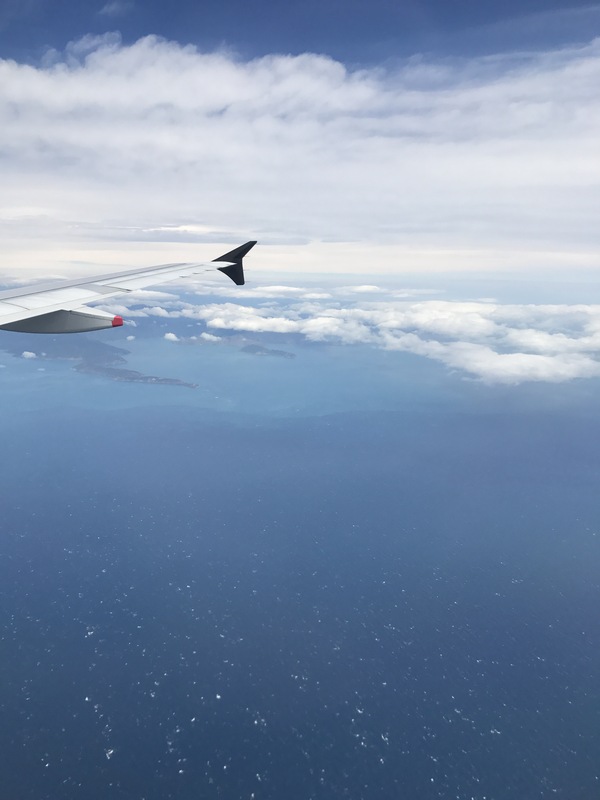 This flight was on the new Boeing 787 (AKA Dreamliner) – and I had heard mixed things about the seats. 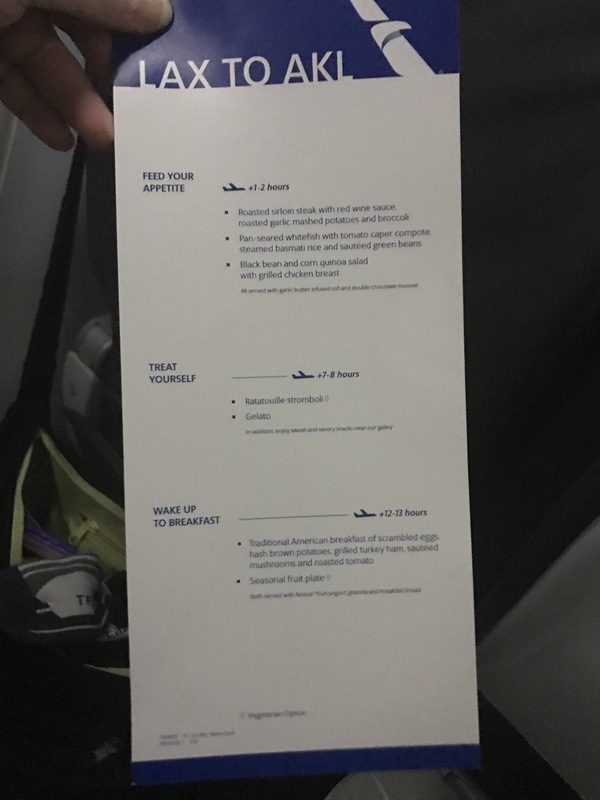 I had decided to “bite the bullet” a bit a pay for a preferred seat – 29 A. On the 787 in the American Airline configuration, rows 29 and 30 only have 2 seats on the outside rows instead of 3 – so that meant I had this great space between my seat and the body of the plane – space large enough that I could actually stand up between my seat and the plane to stretch. Not bad, right? Meal service on the plane was pretty great, and the entertainment options were pretty good too. Not bad for airplane food! 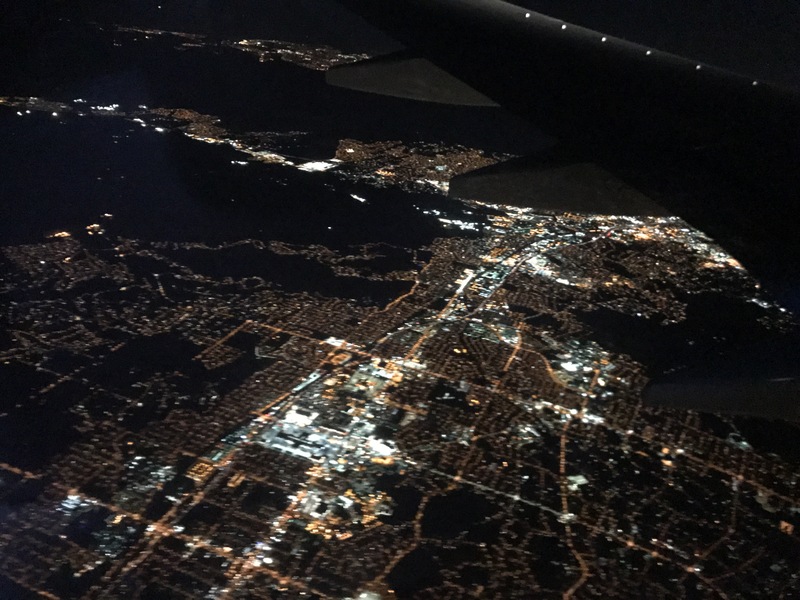 I honestly don’t really remember much of what I watched on the plane – I know there was a movie – and some TV shows, but honestly, I slept ALOT and just relaxed – So, all intents of doing work on the plane went out the very interestingly tinted “automatic” windows. What I do think made the plane ride more tolerable were a couple of accessories, that I would strongly recommend. I do not do well with the traditional around the neck travel pillow – all they do is make my head fall forward. Prior to my trip to Europe 2 years ago, I purchased this travel pillow – and it is the BEST!! – It is inflatable, and rolls up to take up almost no space at all. Also, a pair of compression socks are a must have for a long series of flights like these. Finally, I made what I was sure would be a frivolous purchase, but thought it was worth the try – you see, my short legs don’t always reach the floor or the “adjustable” (HaHa) footrests on airplanes, and I knew that could be quite miserable for the duration of my 2 longest flights, so I bought a travel footrest – let me tell you – what a brilliant thing! I “ALMOST” felt like I was in a recliner when I adjusted it to hold my legs. If you are taller, I am not sure how much it would help, but for those of us that are vertically challenged, I cannot recommend it enough. Upon arrival in Auckland the less than fun adventure began. 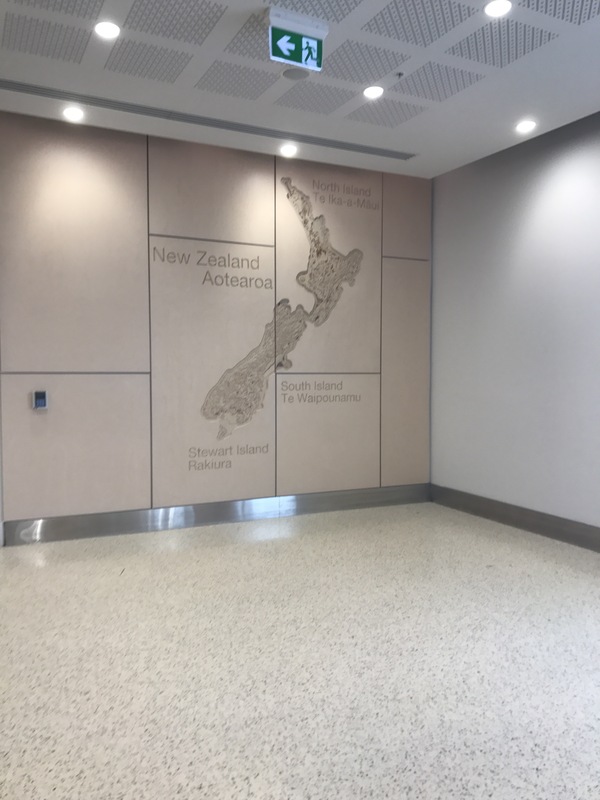 I cleared passport control pretty quickly, then got to Biological Security (As an Island, NZ takes this pretty seriously – the last thing they need is something like a Kudzu epidemic!). The line was a mess, and they kept branching the line off, and as my luck would have it, I was always in the “wrong” line. I started getting nervous, because of course my flight at that point was in less than an hour and a half. I cleared bio security rather quickly – I had my form filled out, knew what I was declaring and why and zipped through, and then started to find my way to re check my bags. . . My friends, AUK is NOT a fun airport to change from the international to domestic terminal. It is a long, nasty walk between 2 completely separate airport buildings, and with luggage. . . NOT FUN – AT ALL. 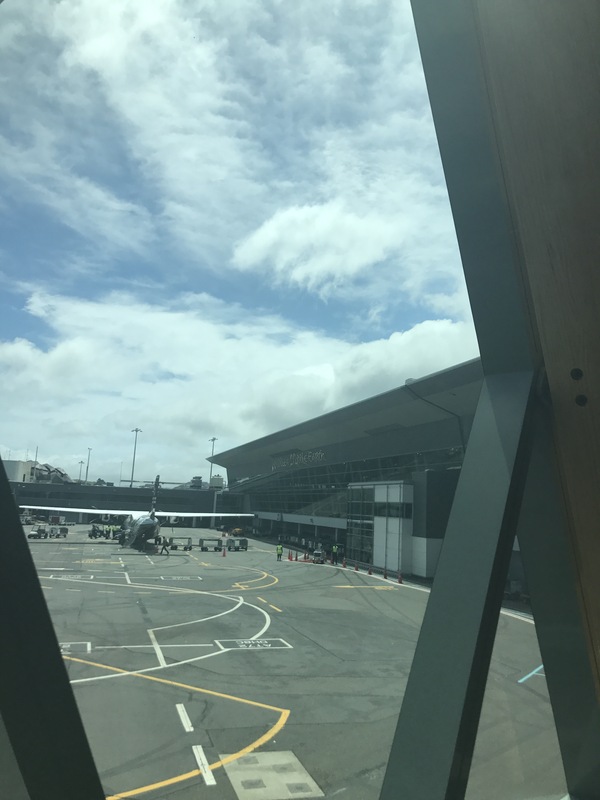 I get to the domestic terminal with 45 minutes till my flight, but I have been assured I will be fine – until they can’t pull up my reservation, and insist I must pay to recheck my bags (which were tagged through to Wellington, mind you). . . at this point, I decide I will just bite the bullet and deal with that later, so that I can hopefully make my flight, and then the guy can’t print my bag tags. I still don’t know where he disappeared to trying to figure it all out, but I missed the flight – then was rebooked, but what a mess. . . 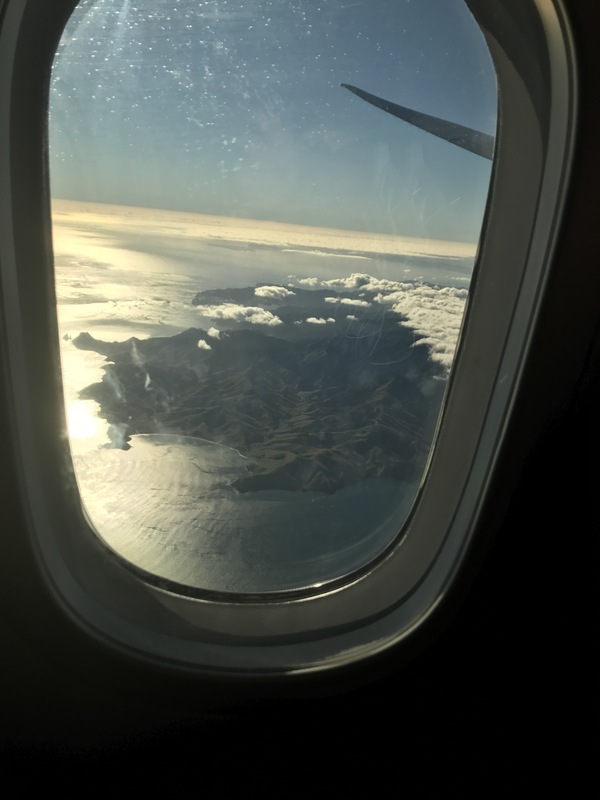 I finally got a new flight and boarding pass, checked the bags – got through security (and oh my is it easy to go through domestic security in NZ after being used to the US) and got on the flight. 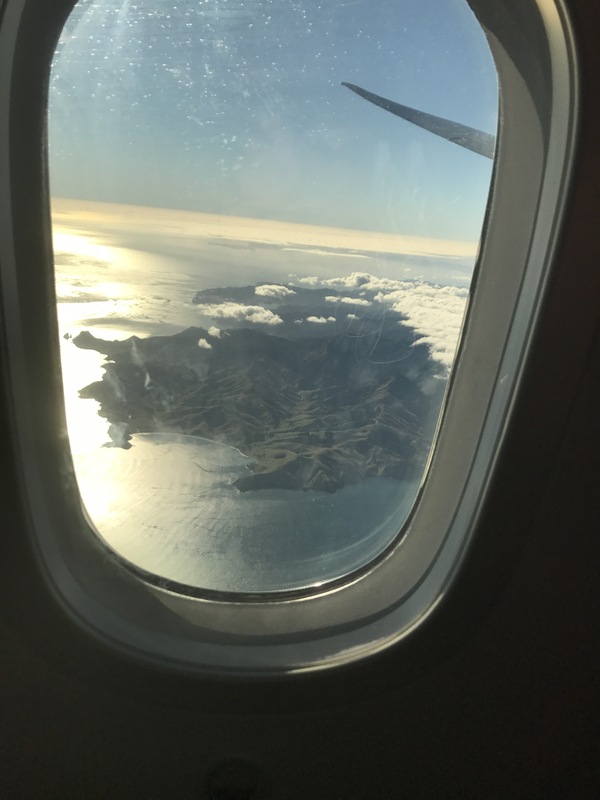 After the nightmare that was dealing with AirNZ counter service, I did not have high hopes for the flight, but the flight attendants were lovely, and redeemed my experience. 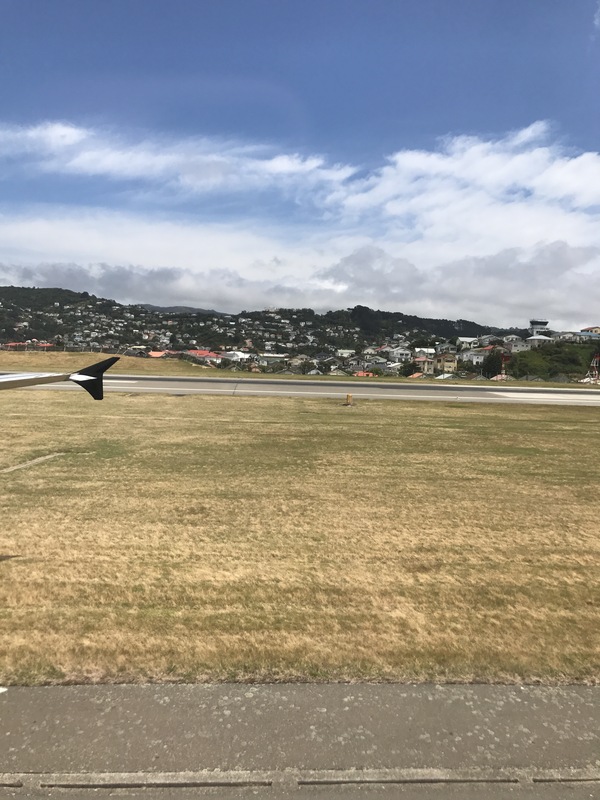 After a little more than an hour, I arrived in Wellington, where Jenny and Ian, my wonderful landlords were there to meet me. Colin from Fulbright NZ was also there. The Maori name for New Zealand is Aotearoa which literally means “Land of the Long White Cloud”. I see why now! Jenny and Ian helped me get my luggage, and then took me on a little tour of Wellington on the way to grab some lunch. I totally hit the landlord jackpot with them, by the way – they are truly a blessing! After a lovely lunch we walked over and got my NZ SIM card situated before heading to Aro Valley to meet the Ludbrooks for tea. (You may remember that the Clark’s flat was damaged by the earthquake, so for the next month or so, I will be staying with their friends the Ludbrooks (Julian and Joanna). We arrived at Julian and Joannas, and I must say that yet again, I have hit the jackpot – what lovely, engaging and awesome people – I am going to enjoy so much getting to know them over the next month or so. We had a lovely tea, and then I retreated to my room to unpack a bit and take a shower. Part of my deal with the Ludbrooks was that I had the option to be included in dinner with them which is so nice! While I was settling in, showering and then just hanging out and exploring the gardens, Joanna was busy making a lovely dinner for the 3 of us. We ate dinner – had some lovely conversation, and I made myself stay awake until 9:30 – then I went to bed, ready for a full Wednesday of exploring Wellington. Stay tuned – more blog posts to come until I get all caught up!